There are three campsites within Chobe National Park, all unfenced and overlooking beautiful wild areas while still having basic ablution facilities (flush toilets and warm showers). Ihaha (GPS: S 17 50.484′; E 24 52.748) is on the Chobe Riverfront and has ten spacious campsites. The large trees and expansive views over the river is what makes Ihaha a firm favorite for Botswana regulars. In dry season there is a good chance you will have large herds of elephant and buffalo coming down to drink close to your camp. Savuti (GPS: S 18 34.014, E 24 03.905) is a campsite suited to hardy campers, with thick sand and limited shade. There are 14 campsites and the best sites are under the shady trees along the Savuti channel (you can request one of these when you make your booking). The barricaded ablution blocks are to ward off thirsty elephants trying to access water during dry season. 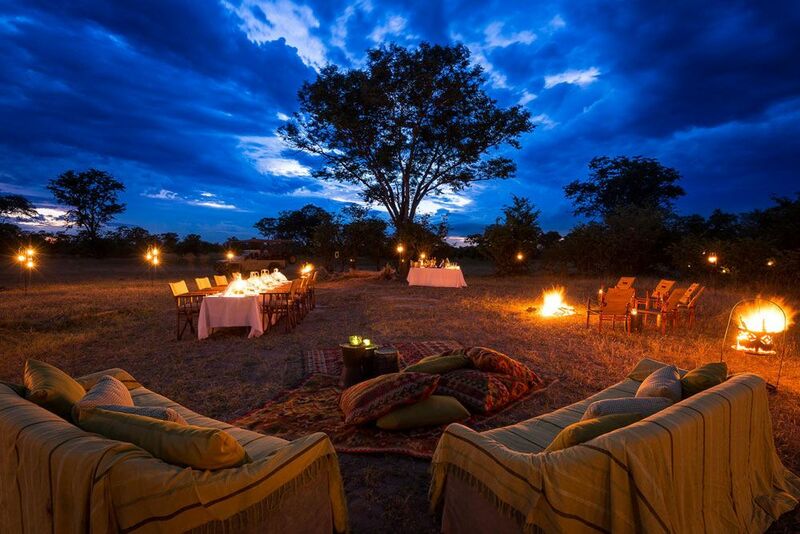 Savuti is known as one of the noisier choices of camp (both human and animal noise) but it’s also one of the most exciting, with a good chance of lions, elephants and hyenas wandering into camp at night. Campers must be on guard against these dangers, especially with small children. It’s important to stay in your campsite after dark and drive rather than walk to the bathroom. There is also a small tuckshop with a limited selection of snacks. 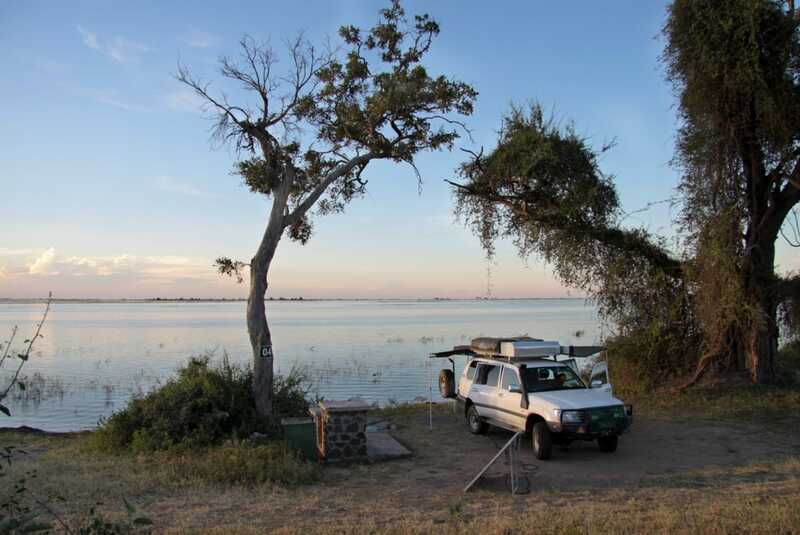 Linyanti (GPS: S 18 16.228, E 23 56.163) is Chobe’s most peaceful and tranquil campsite with only five demarcated camping areas. The most popular sites are numbers one and two which have uninterrupted views over the Linyanti River. Linyanti has a limited road network for the public but the scenic meandering riverfront drive is one of the most beautiful stretches in the park.